Putting is extra important on a pitch and putt, where every hole is reachable with a short wedge shot off the tee. Golf pitch-and-putts allow beginners to practice their short game and are a fun way for friends to enjoy a day without having to spend as much time or money as they would on a full round. For pitch-and-putt, a golfer often only carries two or three clubs, making club selection important. The putter is often called the most important club in the bag, and nowhere is this more important than at a pitch-and-putt course, where the putter is responsible for two of the three stokes built into each par, as every hole is designed to be reached in only one stroke. The key to developing a strong putting game is to find a putter you are comfortable with and stick with that putter so you can begin to learn to control your pace so that you can stop the ball near the hole every time. 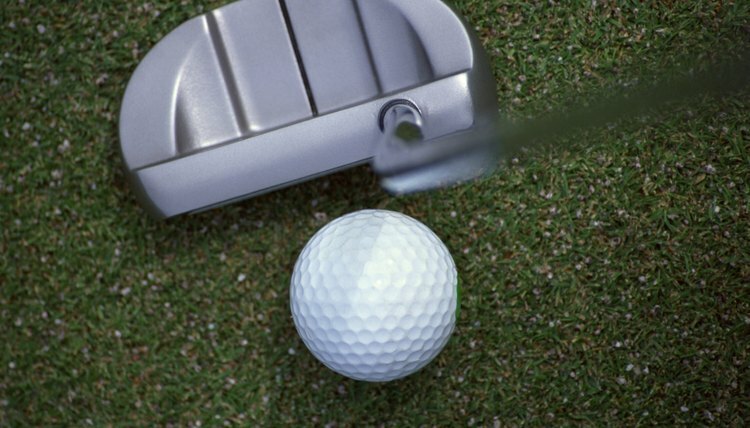 As long as your distance control is strong with your putter, even a poorly read putt is unlikely to be far enough away that you don't have a good chance of making your second putt. Wedges are the standard teeing-off club for pitch and putt courses. Pitch-and-putts are even shorter than a par-3 course, which can still feature some holes that require a low iron or wood to reach, meaning a player still needs to bring most of his bag. On a pitch-and-putt course, a player can reach all the holes with just one club. A pitching wedge is a popular choice, as it can reach all the holes on the course, but also can be dialed back to play short shots. Some players bring a lob wedge, capable of hitting the ball with a great deal of loft, but this should only be used at courses where it can reach the longest green, or as an additional club with another wedge. While pitch-and-putt courses are designed to allow a player to carry no more than a wedge and a putter, some players still prefer to bring a low iron, such as a 5-iron. The iron is used either to play short pitch shots on the fringe of the green, a popular short game option for many players, or even as a long run-in shot from the tee on holes that have a flat, straight run-in suited for a pitch.